Doing the Right Things and Doing Them Right Since 1987. We offer proven, full service and licensed general contracting services to commercial and industrial firms in Savannah, Southeast Georgia and the Carolina Lowcountry. We do both light and heavy construction with a special emphasis on structural concrete, structural steel, large metal buildings, plant maintenance and multi-faceted projects. Our skilled work force and network of reliable subcontractors equips us to deliver your next project expertly, on time and on budget. Typically, the projects we tackle are complex and fall into one of the categories below. Past projects include furnishing labor for small assignments, design-build, and managing multiple subcontractors on large new construction and renovation projects. 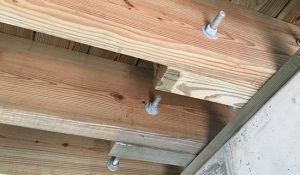 Our construction plans conform to local and national building codes and often exceed industry standards. We understand risk, scale and complexity, and are adept at managing all three to keep a project running smooth. Are you ready to discuss your next general construction project? Contact Donald Rushing Construction today. Call 912 964-0080 | email: sales@donaldrushing.com. Donald Rushing Construction is on the leading edge of new technology, employing modern tools, software and techniques to get you the best project outcome possible. Nothing, however, substitutes for solid engineering, good design, proper planning and preparation, and skilled implementation. That’s what you get when you hire Donald Rushing Construction—the right combination of tried and true know-how and today’s new technology to produce the results you expect when you expect them. We specialize in working with clients, architects, engineers, permitting agencies and other contractors to make your project a success. Our approach to your construction project is grounded in our years of experience. 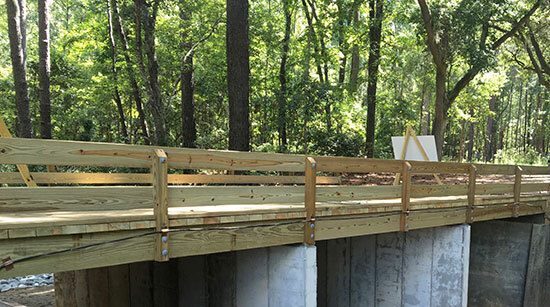 Having worked in Savannah, the Carolina Lowcountry and Southeast Georgia for decades, we understand the particular design and construction requirements this region presents, which in turn ensures your project will last years into the future. To learn more, Call 912 964-0080 | email: sales@donaldrushing.com.